Keeping the children entertained during the summer holiday can be expensive for parents but never fear. 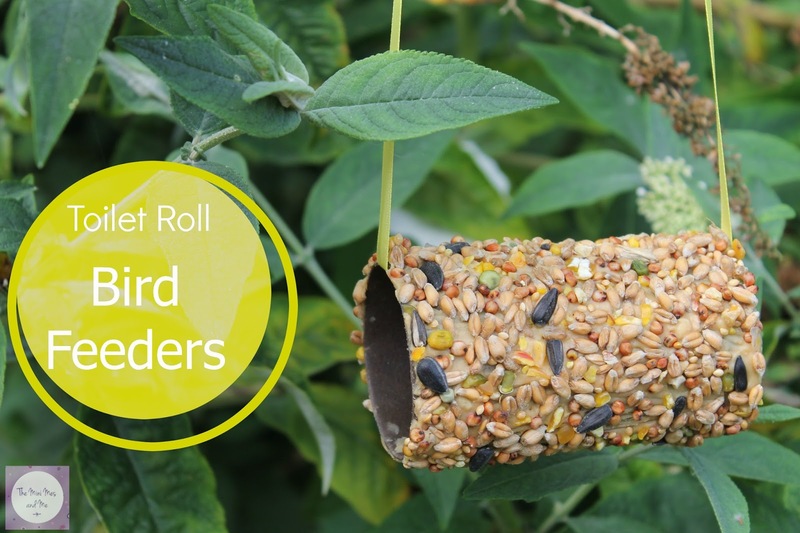 There are many free (or incredibly low cost) activities you can try including these recycled cardboard toilet or kitchen roll feeders for our feathered friends! 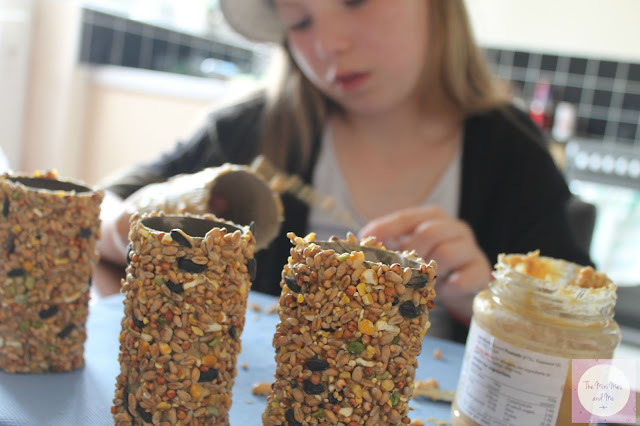 It may be a little messy but it's great fun and if your little ones love animals just as much as the Mini Mes do they too will enjoy watching the wildlife they attract. 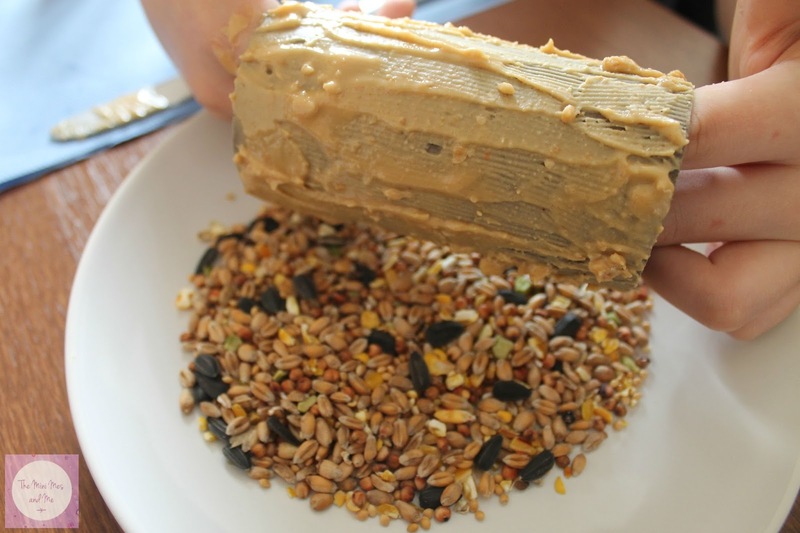 Thinly cover a cardboard roll in peanut butter using the knife (you can use a plastic one if you wish). You may want to put some newspaper, kitchen tissue or plastic sheeting down over your work surfaces before you begin to make clearing away easier. 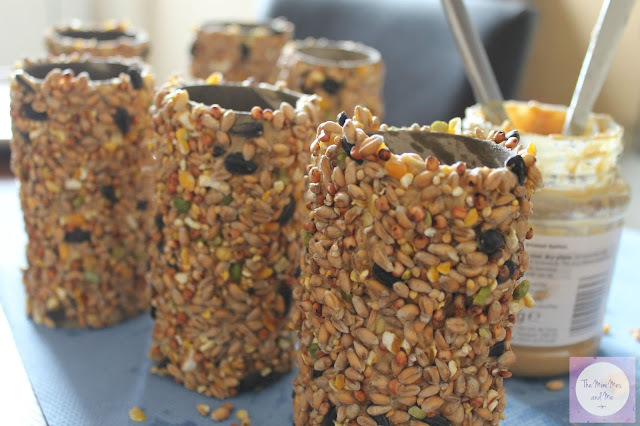 Pour some bird seed onto the plate and firmly press the roll on top, rotating it so it's entirely covered. Stand it on an end and leave it to set then repeat the process for any remaining rolls. You can now slid the feeders onto bushes and branches outside or add a ribbon through each, tying the ends together, before hanging them onto trees. 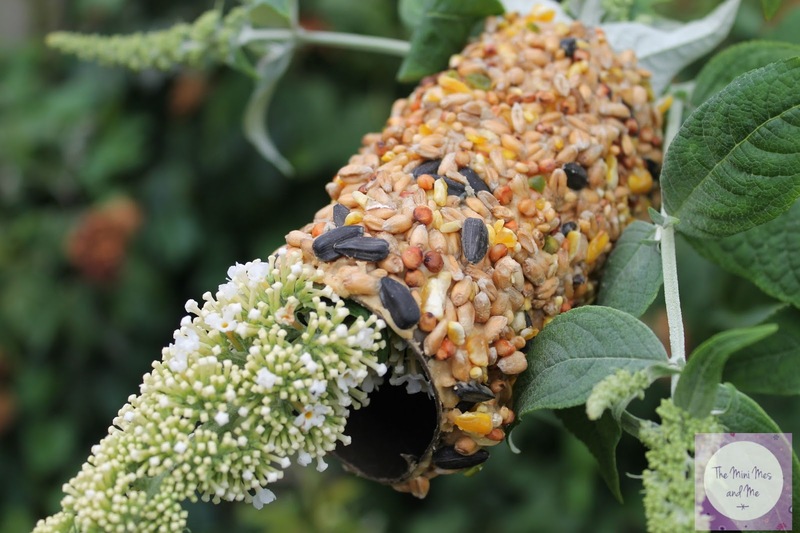 If you have any excess seeds left over you can attempt to make a bottle feeder too. 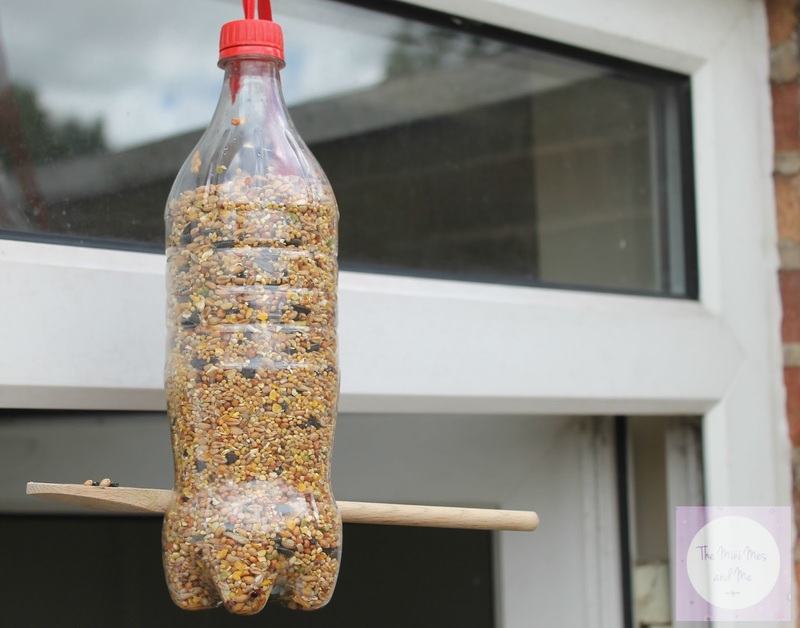 Ours was created by cutting two small holes in a plastic bottle and pushing a wooden spoon through for birds to sit on. The remaining seeds were poured into the top of the bottle before a hole was made in the lid, a ribbon was pushed through and tied then the lid replaced tightly. Which low cost activities will you be trying this summer? These look amazing and so much fun to do! I love these ideas and think its such a sensory thing I'm sure my foster son would love to have a go. These actually look quite tasty! And such fun to make - brilliant idea. These are blooming brilliant. I think they are perfect for making with kids. A fun way to do something useful with all those loo rolls!!! 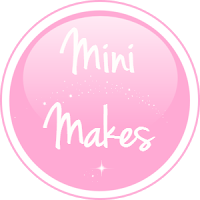 Oh they look brilliant and are so easy to make! I shall have to make one for my little garden! Such a clever idea and easy too. I can see us doing this soon. What a great idea - I'll have to make some of these for our garden. This looks like such a fun activity to do. Must try it out with my son. what a clever idea and so simple!